It has been a little quiet on the app front today, but it is in fact Update Wednesday. 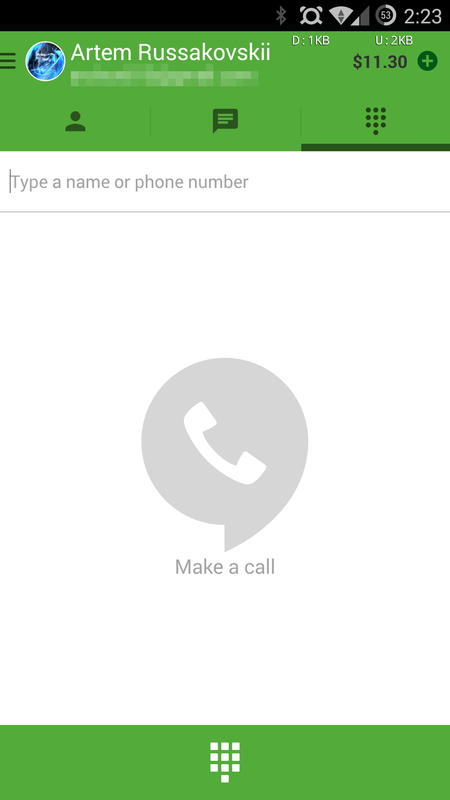 There's a new version of Hangouts available for download right now, and it has at least one useful tweak. Presumably there are also some bug fixes and other under-the-hood changes. 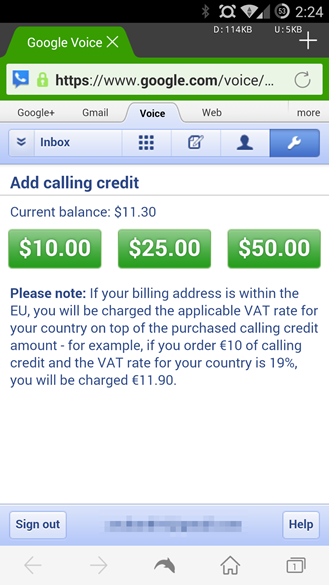 If you slide over the dialer screen there is now a call credit display in the upper right corner. You can tap the button up there to open a browser and add more money to your account as well. 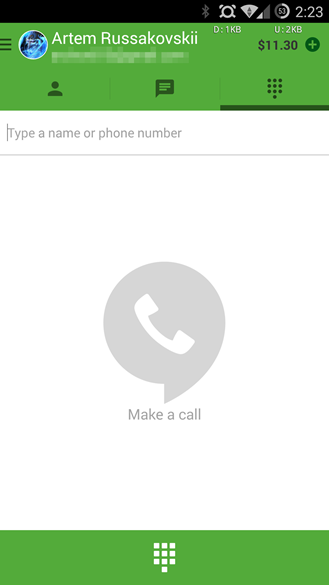 That displaces the clear log button to the top of the call log. Otherwise we're not seeing anything on the surface. Version: 2.4.78234730 (22079529) (Android 2.3.3+).